INIRUMAHPINTAR -As one of the global communities, Indonesia is a country in Southeast Asia including English as a subject in its curriculum. In this matter, the government believes that English is one of the most popular languages in the world. Therefore, introducing English to Indonesian society through regular education system in the classroom is a praiseworthy policy. Unfortunately, since curriculum 2013 implemented in Indonesia, only junior and senior high school students are seriously planned to focus learning English. In Elementary school, English is only an extra subject in which no special reinforcement to teach English in this basic level. Consequently, it causes a huge confusion among English teachers. They have not got clear answer why Indonesian government does not provide wide opportunity for Indonesian students to acquire English in their potential age - when they are still in elementary school. In line with the most of English teachers, the writer often raises a question about the awareness and the seriousness of government in managing the English teaching in Indonesia. In fact, almost students have varied dialects and accents. In South Sulawesi, for example, the students normally interact using at least one local language (L1), e.g. Buginese, Makassarese, Mandarnese, etc. either at home or at school. Most of them even have acquired two languages (L1 and L2 e.g. Buginese and Bahasa Indonesia) before learning English at school. As a result, it absolutely creates some challenges for teachers to make their students successful both in their study and in their life. First, students feel that native speakers speak too fast. The distinction of dialects/accents between students and native speakers is the basic problem in this case. When the writer plays English videos or MP3 consisting of short stories or dialogs in the classroom, most of students feel confused and stare each others. It is difficult for them to comprehend the intention of native speakers. Most of them usually consider that the dialog is too fast. Indeed, it seems that native speakers normally speak faster than Indonesian people. In another case, students also have trouble in comprehending English because the dialects/accents used by their English teachers in regular meetings at school are not identical with the dialects/accents they listen in videos or in a reality. Second, students feel difficult to pronounce English words. Although students have listened English materials regularly, they commonly still have problem to pronounce some English letters/words. The writer often finds his students get inflexible when trying to pronounce the letter “r” (in car) and “th” (in thing). Also, they often stress a word in wrong position, for example in the word “engine”, they often stress it in the second syllable whereas it should be stressed in the first syllable. Third, students have low self confidence. When students have good pronunciation and some sufficient vocabularies, they can normally speak in English. Unfortunately, it is not absolutely true. According to the experience of the writer, not all students who have enough skills to speak in English are active and brave in the classroom. In fact, they still have low motivation and self confidence to perform. They feel embarrassed to speak English with their original accents/dialects. After saying a statement or an expression, they often said, “Am I right, sir?” it indicates that they are very afraid of doing mistakes in their speaking. Moreover, if a student teased them when they try to practice English, they feel so shame to try again. They have not got self confidence to speak English with their own accent/dialects. Further, no supportive environment is provided for them to perform as well as possible. Fourth, students find different dialects/accents on English sources. They often feel confused when they find some phrases on English movies; songs; or videos on YouTube that are so different with those in text books. Different movies have different dialects and accents. For example, when they watched “Harry Potter” (British) before watching “Spiderman” (American), they must find confusion to acquire the English language. Moreover, they also have their original dialects/accents. Thus, one of challenges faced by English teacher nowadays is how to guide the students choosing the best sources to learn English. Fifth, students commonly have two primary languages before learning English. The other constraint experienced by students commonly in South Sulawesi, Indonesia is they have been affected by two languages (L1: local language and L2: Indonesian Language) before learning or acquiring English as a foreign language. Besides, different villages, towns, and regencies have varied dialects/accents. As a result, students in every classroom at school are mostly heterogeneous in dialects/accents. For example, Buginese students generally have problems to remove suffix -mi, -ki, -ta, -je, -meka, -meki, when they speak Indonesian. Besides, the order of word class in Buginese/Makkasarese is different with English ones. In addition, the writer had a memorable experience when teaching English in elementary school where is located in a village in Soppeng, South Sulawesi. At the time, one student said “finish-meka, sir” when he has done his assignment. In another situation, a student said “seveng” when she wanted to say “7” in English. She naturally said suffix “-n” with “-ng” in spoken expression. 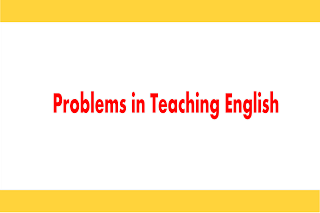 In this case, English teachers must work hard and have unlimited patience to teach English well particularly to students who have two primary languages before learning English. First, to make students familiar with English, the writer played same videos many times. One of reasonable problems why students think native English people speak too fast is because they have not been familiar with English. They rarely listen and watch native English videos. They also never communicated with native English people. Therefore, when the writer played the videos in the classroom, they were panic and confused. Most of the dialog expressions were strange for them. After evaluating the students’ performance and attitude, the writer decided to play the same English video repeatedly. While listening or watching the video, they also must fill the blank subtitle on a page provided by the writer (teacher). They also must imitate the sound they heard and find out the general topic of the video. In fact, it worked very well. The repetition made them improve their listening comprehension. They also picked some English words with good pronunciation. Related to what the writer did in the classroom, Carr et all stated (2007:23) behaviorists believe that language learning takes places through repetition and reinforcement. Second, to improve students’ pronunciation and build students’ self confidence, the writer implemented role-play learning and repetition drills in which students had more chance to practice their English. The writer guided students to learn English by routine activities in the classroom. They were facilitated to speak a lot in “role-play” learning. As a result, students not only seemed enjoy learning English, but also their pronunciation became better. In this regard, Carr et all also revealed (2007:23) that repetition drills was a method to focus on getting learners to use correct pronunciation and grammar from the beginning. In addition, Witthaus exposed (2004:11) that the aims of role play are for learners to: build their confidence, practice coping with real-life situations outside the classroom, and practice using the new language they have learnt. Third, to ensure students having accurate sources to learn English, the writer prefers to share useful and particular links and files to students either in the classroom or in social media. Of course, the topics of videos should be interested. The writer found that most students prefer to watch drama movies, romantic songs, and comedies. In this case, the writer worked hard to search proper and qualified videos because most movies nowadays contain adult content. Qian and Li stated (2014:285) that appropriate materials would not only help learners to make rapid progress in their listening ability but also help to keep their confidence and interest. To make students enthusiastic and focus on the proper videos, the writer asked students to listen/watch the same videos in a week at home before listening/watching the other ones. To evaluate, the writer asked students to retell the topic of videos with their own words in front of the classroom. In fact, it was unbelievable. They could improve their speaking and their pronunciation. They also picked some new phrases from the videos. Qian and Li again emphasized (2014:285) that to meet the learners' psychological need, an encouraging but objective assessment of their weekly learning outcomes was always given at the beginning of the teacher's responses. In this case, the writer controlled students’ improvement regularly. It motivated them to perform a lot. Basically, the writer avoided to press them in learning process. Fourth, due to the fact that most students have L1 and L2 before learning English, the writer encouraged students to acquire and perform it based on their competence. They may choose American, British, and Australian English as their passion. They do not have to care about their dialects/accents. If they prefer to speak English using Buginese dialects/accents, it doesn’t matter. Basically, they have willing to speak and their expressions are understandable. Different dialects/accents in performing English are normal. Nobody should justify that his/her dialects is better than others. Trudgill (2004:2) clarified that none of these combinations dialects is linguistically superior in any way to any other. Dialects are not good or bad, nice or nasty, right or wrong. They are just different from one another, and it is the mark of a civilized society that it tolerates different dialects just as it tolerates different races, religions, and sexes. In addition, to support education of Indonesia, especially in teaching of English, the government should consider to: ensure the status of English in Indonesia (as a foreign language or as a second/third language), construct planned curriculum for long term goals, recruit qualified English teacher through dedicated and fair testing/evaluation, provide every school with latest facilities, activate “English day” to all education institution. Carr, John et all. 2007. Making Science Accessible to English Learners: A Guidebook for Teachers. San Fransisco : WestEd. Qian, David D. and Li, Lan. 2014. Teaching and Learning English in East Asian Universities: Global Visions and Local Practises. Newcastle: Cambridge Scholars Publishing. Witthaus, Gabi. 2004. Win with Words Facilitator's book. South Africa: Creda Communications. 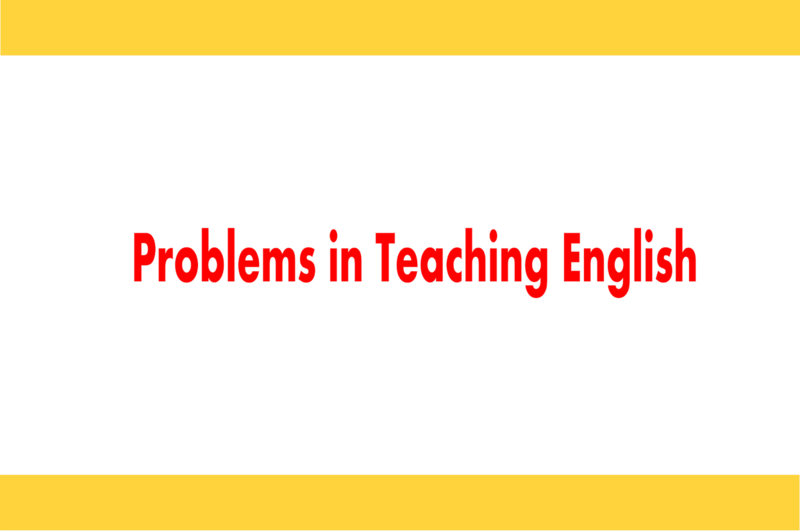 1 Response to "Problems of Teaching English to Buginese Students "
These problems are very common with every English teacher. Thanks for sharing the solutions also of these problems. I would like to share them with my colleagues. Hope this will help them.